We paid a visit to Fort McHenry today then decided to head into Baltimore for burgers. Dad drove to Fell’s Point and we went to Koopers Tavern where I ordered a MacGuinness Burger. 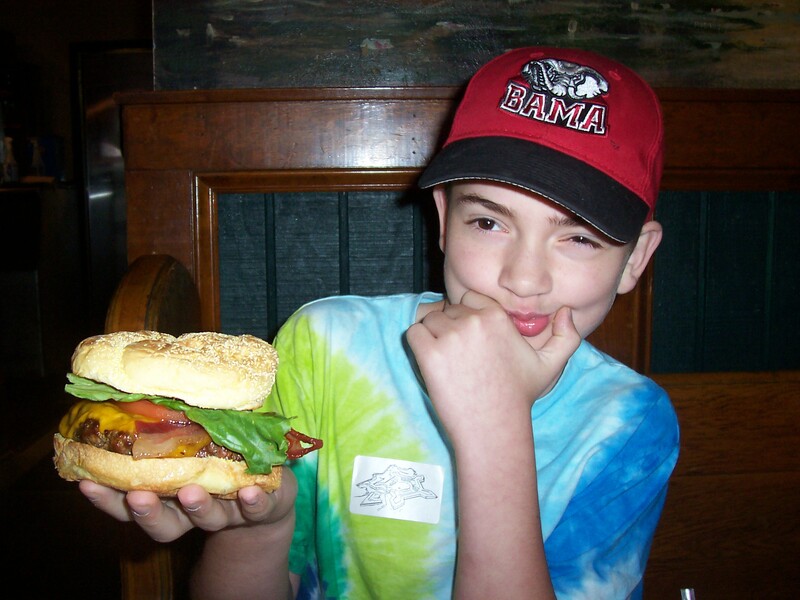 It is a fresh 1/2 lb burger served with lettuce, tomato, red onion, apple smoked bacon and cheddar cheese. Two things about the visit to Kooper’s Tavern. First, there was a sleeping drunk person in there (no… not my Dad!) and the manager had to wake him up and throw him out. That certainly made the visit a memorable one! Second, my Dad also ordered a burger. He can only get away with this when Mom in not around, because she is checking his diet and she tries to make sure that he eats healthy food. Hey, Dad! Guess what? You keep telling me that it’s important to tell the truth. So now Mom will read this blog and know you ate a burger. This was a really tasty burger. There bacon was thick and smoky. The cheddar cheese had a nice sharp tang. The burger patty was really, really juicy. There was no fat running out. 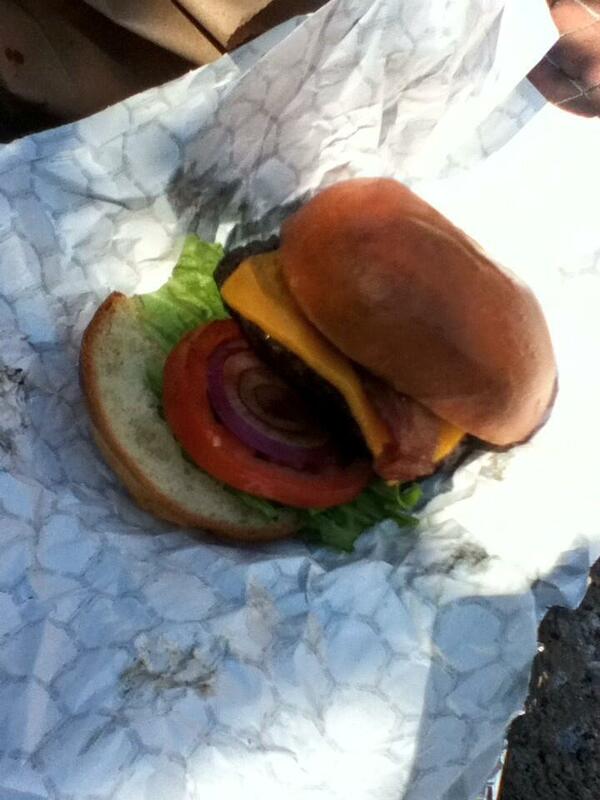 All the meaty juices were trapped inside the burger. It was one of the best burgers I have eaten. I award the MacGuinness Burger a score of 8 out of 10. It is definitely one of my favorites! Now I want to chase the Kooper’s Chowhound food van and see if their “mobile” burgers are as good as the ones in their restaurant.